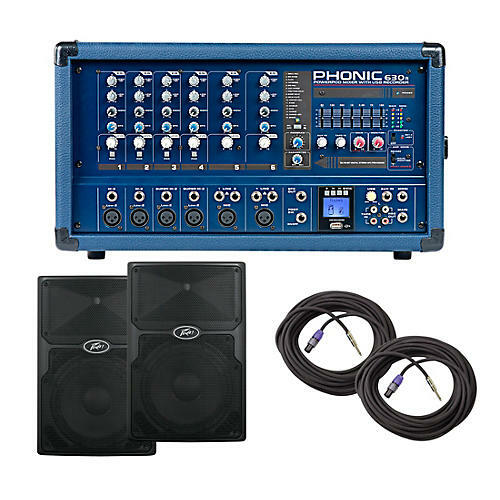 These premium Phonic PA packages make it easy to get started quickly with everything you need to hit the stage. We’ve done all the work for you and hand-selected the components for optimum performance. Each package delivers your choice of a pair of 12 or 15" full-range passive speakers, a Phonic Powerpod 630R powered mixer and a pair of speaker cables. No matter your choice, each package is loaded with high-end technology and components for a powerful live performance.